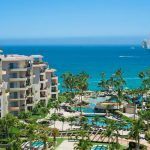 Villa del Palmar Cancun in Mexico is the latest addition to The Villa Group family of luxury resorts and stands at the leading edge of a new generation of timeshare resorts. The Villa group is a timeshare company with almost three decades of experience in the industry, celebrated for developing first-rate products at accessible prices. One of the key elements to The Villa Group’s ever growing success is its choice of destinations combined with its expertise in resort development. Villa del Palmar Cancun is a prime example of this aptitude for choosing the best locations. Cancun is famed for its idyllic white sandy beaches, turquoise water and palm trees. Indeed it claims the best of the Caribbean with the advantage of being on mainland Mexico and close to a range of both natural and archeological wonders that keep visitors returning year after year. 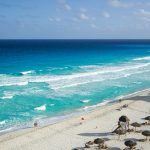 Unlike Caribbean islands that simply boast wonderful all inclusive resorts that you can never leave, Cancun is a prime destination for timeshare as you will never run out of things to do on or off the resort. The location of the Villa del Palmar Cancun resort is also particularly attractive as it is set away from the hoards of hotels and people in the hotel zone, which is perfect for a family vacation or romantic getaway. The exclusive area is also home to a famed golf course, for which Villa del Palmar Cancun guests can get discounts. But there is more to Cancun than golf and beaches, there are also a number of archeological sites such as the famed pyramids at Chichen Itza or the ruins on the beach in Tulum. Likewise, the area is renowned for diving and snorkeling with many people opting to take a whale shark tour or diving lessons. Finally, an overview of Cancun would not be complete without reference to its buzzing nightlife which is versatile – from dusk till dawn – and with many dining options and family oriented activities in addition to the nightclubs. Villa del Palmar Cancun offers the option for both European and all inclusive plans. For timeshare owners there are also food packages that you can buy should you wish try the all inclusive plan. Likewise there is a deli and market where you can buy food for your unit as well as a shuttle bus to a local shopping mall. With 5 swimming pools, outdoor Jacuzzis and direct access to a soft white sandy beach adorned with loungers, Villa del Palmar Cancun is perfect for those wishing to relax and take the sun. Its Village Spa, modeled on a Mayan village also offers a wide variety of treatments and massages to ensure that every muscle is relaxed by the time you leave. The resort is also celebrated for its gourmet restaurants: Davino, La Casona STK, Zama and Hiroshi. From Mexican Mayan flavors and a modern Steakhouse to subtle Greek recipes and Sushi you taste buds are in for a treat. 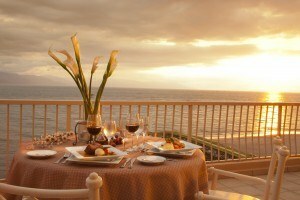 As timeshare owners, you will be spoilt for choice in terms of cuisine. All of the restaurants offer a take away service so that you can take full advantage of your fully equipped suite with dining room and furnished balcony. One of the perks of buying a Villa Group timeshare is that all of the Villa del Palmar’s suites have cooking facilities and a fridge, whether it be a kitchenette in the Deluxe room or a full kitchen in the suites. One and two bedroom suites are spacious enough for a family to live comfortably while the Limited Edition Specialty Suites are a luxuriously grand and impeccably decorated for a completely elite experience. Virtually all of the suites have a sea view with the other suites overlooking the luscious resort gardens on the lower floors.